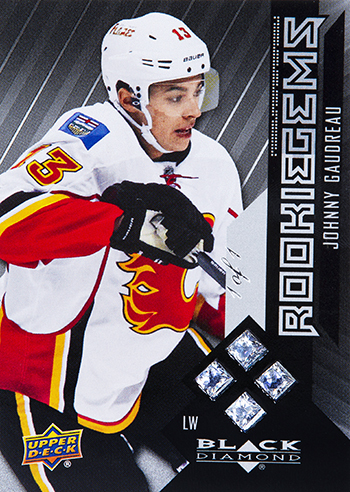 Upper Deck had a lot of amazing items on display at the most recent Industry Summit, but the cards that got the greatest response were the 2014-15 NHL® Black Diamond Quad Rookie Gems cards. 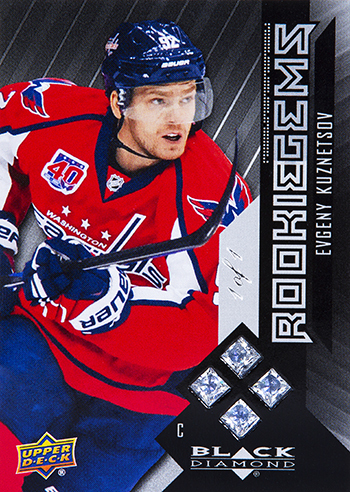 Collectors have the opportunity to score one of these cards by finding one of 25 exchange cards in packs of the 2014-15 NHL® Black Diamond. Each card is a one-of-one card. These are the only copies that exist. 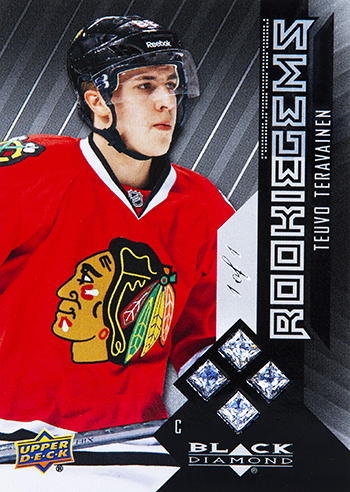 Every card is incredibly thick with a shadowbox type of display that includes four actual one carat diamonds. 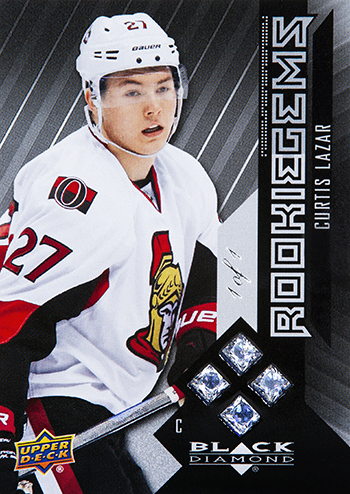 What is most compelling is that less than 10 of the 25 cards have been redeemed so far which means there are still plenty more waiting to be discovered in packs of 2014-15 NHL® Black Diamond. 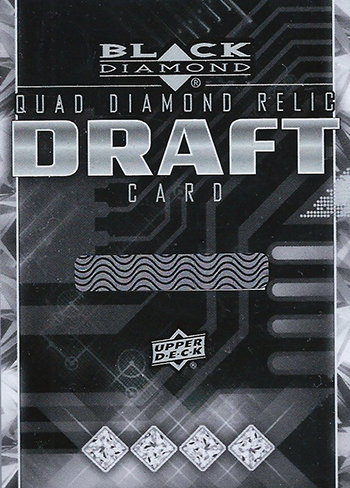 Collectors have until April 9, 2015 to get their redemptions entered to participate in the interactive online draft event. 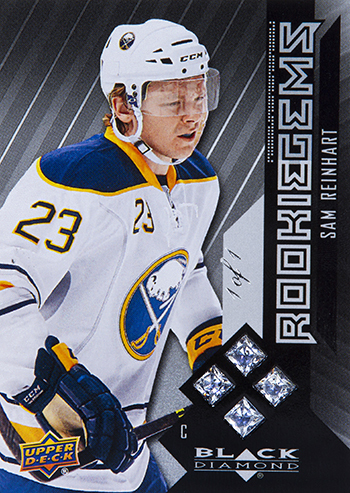 Find and redeem one of these special Draft cards from 2014-15 NHL Black Diamond by April 9 and you will be invited to participate in the Diamond Draft event to score one of these one-of-a-kind cards! 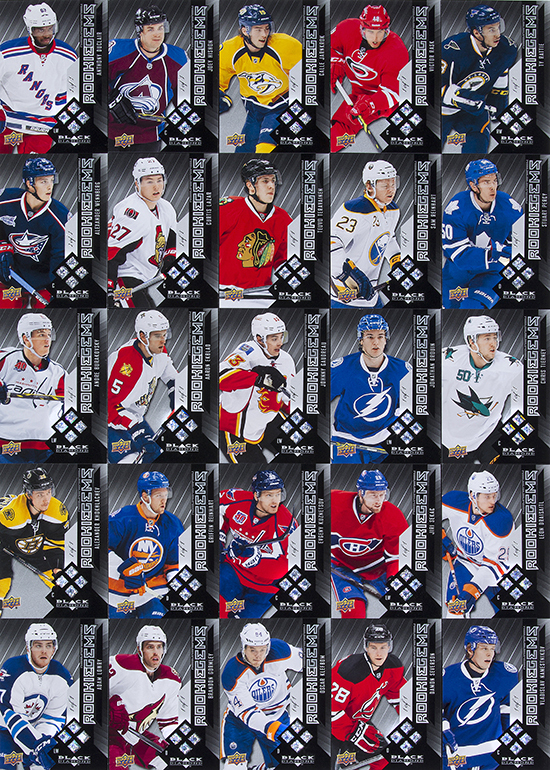 Take a look at the incredible cards available in this event. Which player would you take first in the draft??? 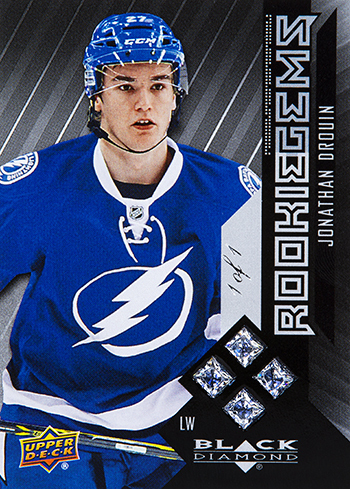 I love upper deck your cards are so sick id love to receive a blac diamond quad rookie Sekac and Drouin. You should have a contest for the ones that don’t get redeemed. There’s no Kings. Why no Kings? 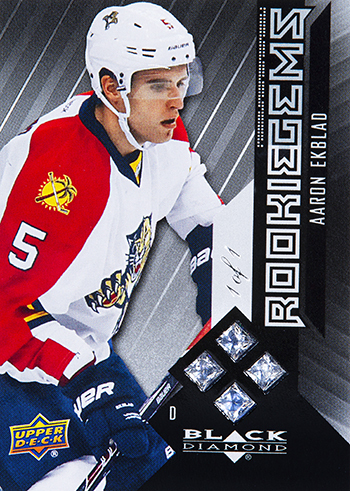 Guys what happens if you pull a diamond redemption after the deadline date?? William, quite frankly the Kings didn’t have a stand-out rookie this season to include in the promotion. Steve, we will send a card from the remaining stock at random to you.